I ordered the teal color and it is true to the color online. Great quality. Has held up in my backyard through Florida rain and sun. Would order again! Nourison Fusion Cream/Multicolor Abstract Rug - 7'10" x 10'6"
Nourison Luminance Graphite Rug - 7'6" x 10'6"
Even though there is white in the design, it is tough and does not show any stains from wiping off dirty shoes or paws. I'm very pleased with my choice and would recommend this rug to anyone. This rug is nice quality! Beautiful bright shade of aqua! Living it. Brightens my kitchen wonderfully. It scrubs up well too !! This is a very well made rug and has a high end look to it. We have it out on our covered screen porch. It has made it through a summer and I have not noticed any fading so we expect it to last for many seasons. The rug was perfect for our small outdoor patio. We ordered it in green and it looks good. Good quality and should hold up in throughout the seasons. Sturdy, good looking in/outdoor rug. Excellant rug. I use them inside and am very happy. Durable and cute colors. Cheery and well made. Absolutely love it and would buy again in a heartbeat. I have had this rug for a few years now and it has held up wonderfully. It has been outside on our screened in porch. We have three children and a dog and it still looks great. I have spot cleaned it with water and it wipes up well, even with the lighter neutral color fabric. This was surprisingly thick and comfortable for working on in a busy kitchen! I like it so much, I'm buying another one for my utility room! It vacuums easily and doesn't show wear! Its by no means a super high quality rug. It has a few spots where a loop has frayed. Overall its decent. I purchased this rug in red. Its a good red, not too bright, not to brick. This is a very rich looking rug. I did my research online, as you never know how websites inflate and manipulate MSRPs these days and this turned out to be a great buy. The manufacturer's website and another well-known B&amp;M site offer the rug for much, much more. I obviously can't speak to longevity but I like the look and I'm hoping it responds well to a low-maintenance life lived outside in the Georgia weather. "Is there a nonslip backing or do i need a rug pad? Thanks"
"I LIKE THIS RUG ,will it endure rain ? Can I leave it on a balcony year round ? Is it mildew resistant ? We get no snow ! Is the red color a cherry red or a tomato red ? I do not like orangey red colors ." "I asked yesterday and never got an answer! Are these grubs all weather? I am planning on using them on my outdoor patio. I would like a rugs that does not stay soaked for days. They will be out in the open air? Please advise!" 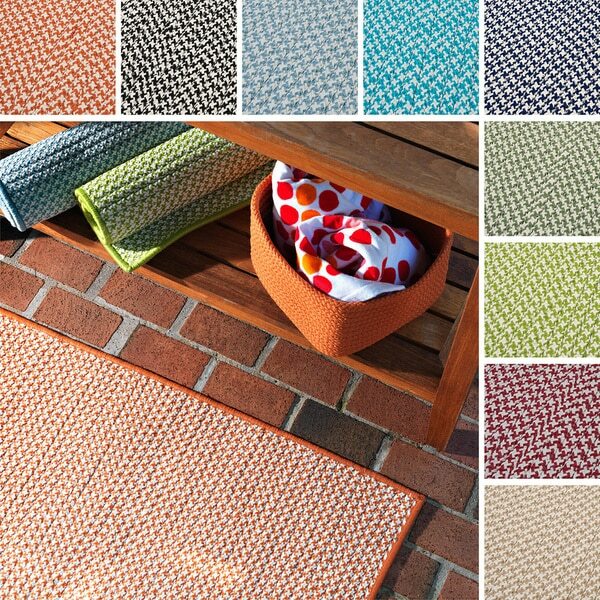 These rugs are designed for outdoor use. "How do you clean the rug?" The rug is made of polypropylene and can be spot cleaned or even hosed off if being used outside. The material is very resistant to fading and stains. "Other than two inches of length, what is the difference between the Crisscross Indoor/ Outdoor Area Rug (2' x 8') (ITEM# 15506455) for $* and the Crisscross Rug (2'x6') (ITEM# 15506454) for $*? Both are by the same company and same style, but the shorter rug is more expensive. I can't figure out why, though? Does the more expensive rug have backing?" Hello amm17921, ITEM# 15506455 is a 2 foot x 8 foot runner. 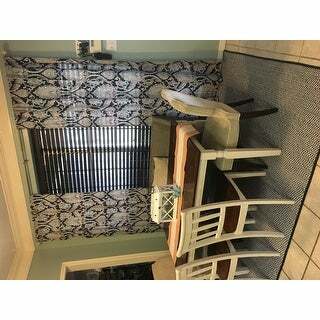 ITEM# 15506454 is a 2 foot x 6 foot runner. Because these items are different dimensions, these are different items, and are priced individually. Items are sold based on supply and demand. We cannot guarantee price until the items are purchased. Prices are subject to change at any time. Thanks for shopping with us! "Can this rug be washed?" Hello lesley-ann p., we appreciate your inquiry. We do not recommend washing this rug in the washing machine. Please use a damp sponge or cloth to treat stains. We hope you have found this information helpful. Thank you for shopping with us! 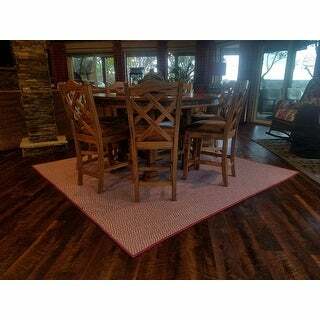 I ordered the matching runner for high traffic area. This rug is bigger than I wanted but I can't find a rug that will work -- all are either too small or too large. This one will at least match! Planning to use in my kitchen and I need something to stand up to the wear and that can be washed off easily.